Always open 24 hours on 24 all year round. Company specialized in Cagliari Airport Transfers and private Taxi service: tours and excursions, transfers to accomodations, ports and airports, hotels and resorts in all Sardinia. Company specialized in Cagliari Airport Transfers and private Taxi service: tours and excursions, transfers to accomodations, ports and airports, hotels and resorts in Villasimius, Chia, Castiadas, Muravera, Costa Rei. 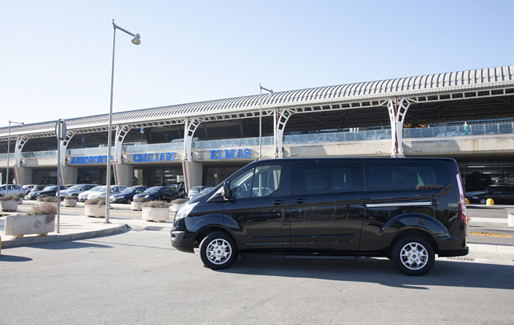 With our transfer services we can use preferential gangways, we can access the limited traffic areas and to the historic centers; each Cagliari airport transfer is customized on the basis of your specific requests. The taxi service is available 24 hours a day and also Last Minute, 365 days a year, always customized according to the needs of the traveler, designed for those who need to travel in comfort and speed. We have a fleet of cars provided with all kinds of accessories for Comfort, Security and Privacy. Our Staff is composed by a group of professionals registered to the Chamber of Commerce.